Magda Danysz gallery is pleased to introduce the Brooklyn-based duo Patrick Mcneil and Patrick Miller a.k.a. FAILE, for the first time in its Parisian exhibition space. 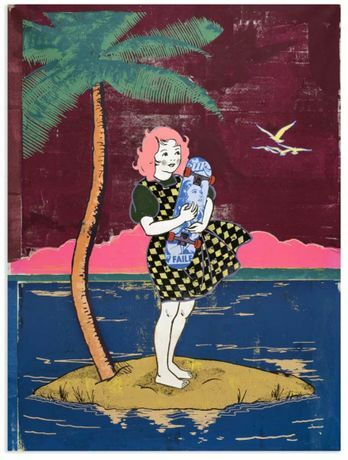 Renowned for their work across the USA, United-Kingdom and Japan, FAILE is being offered the gallery space as a new playground to express their style. Prolific, the duo is working on a large range of media, excelling from installations to painting, collage and stencil. Innovation and multidisciplinarity are their motto. In addition to the show, the duo is also working on a large-scale mural artwork for the street generation(s) exhibition, curated by Magda Danysz at la condition publique in Roubaix.